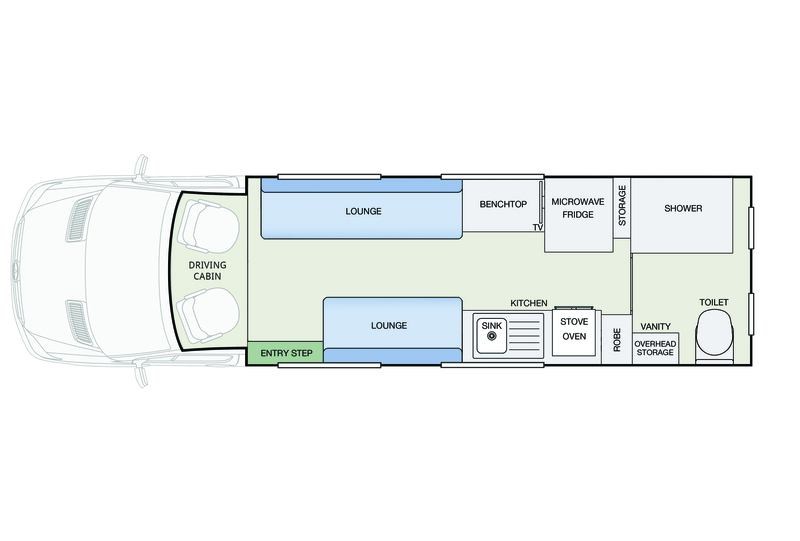 The Trinity stands out from the crowd with its large front lounge for entertaining during the day. Swivel the driver’s captain’s chairs to face the entertaining area and enjoy a meal with guests, cooked from the fully equipped kitchen. This lounge area converts into a generous queen bed at night spanning the width of the camper.The Trinity is jam packed with all of the creature comforts found in large motorhomes, within its 7.6 meter length. 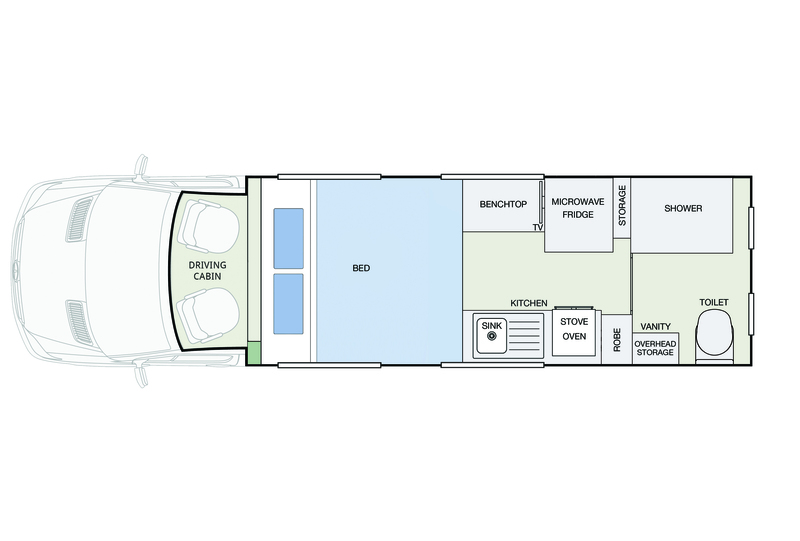 The impressive range of standard features will blow you away with Winnebago’s famously large rear ensuite, expansive picture windows, reverse cycle air conditioning, colour reversing camera and ample internal storage – just to name a few! But don’t just take our word for it; arrange a private viewing of the Trinity at a dealer near you.